Can The State Prescribe A Plan Of Salvation? R.J. Rushdoony: 00:01 Can the state prescribe a plan of salvation? 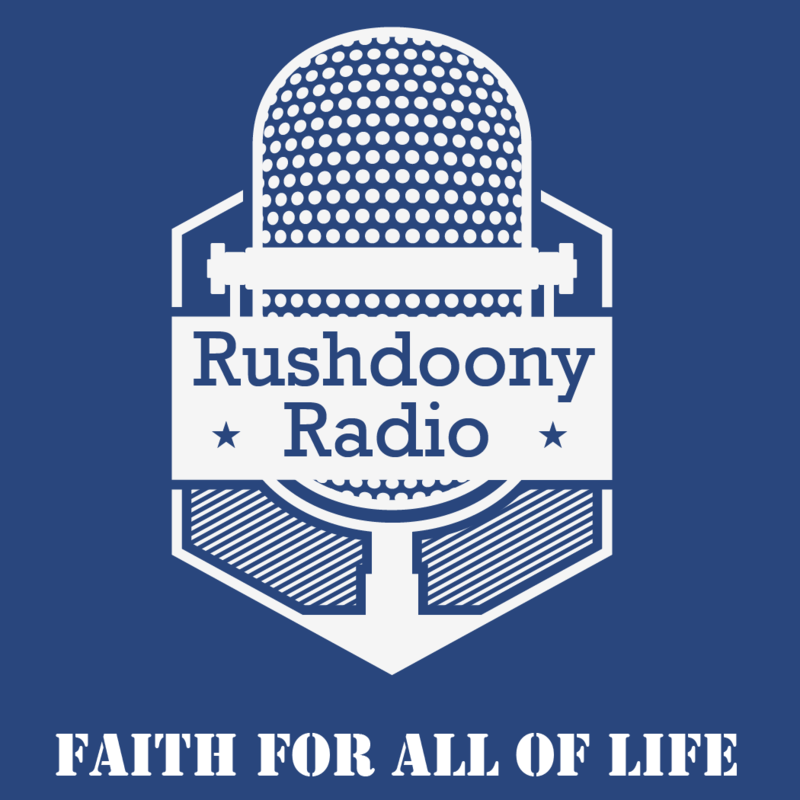 R.J. Rushdoony: 00:04 This is R.J. Rushdoony with a report on our threat to freedom. R.J. Rushdoony: 00:08 In one of the trials in which I am appearing as a witness, a church operated children’s home for delinquents is in court because the state is demanding that a humanistic plan of salvation be taught to all the children. This home has a remarkable record for rehabilitation. Over 90% of the children who have passed through its doors, for almost 30 years, are both law abiding and Christian. Many are now active in the ministry. R.J. Rushdoony: 00:34 The state operated homes have a record of failure on over 90% of their cases. The failures the state operated welfare agencies are seeking to control the successes of the Christian homes. The state has taken the pastor and his homes to court because, instead of psychotherapy, the Bible and Jesus Christ are used to save the children. R.J. Rushdoony: 00:59 In other words, the state and its welfare agencies are seeking to prescribe the plan of salvation, which these Christian homes for delinquents must use. This prescribed plan of salvation is plainly humanistic. There are two important issues at stake here. R.J. Rushdoony: 01:15 First. The First Amendment is being set aside in that we clearly have an establishment of religion. Welfare agencies across the temporary operate on a humanistic religious premise, and with a humanistic plan of salvation. Tax funds are thus being used to promote a religion most Americans do not confess nor affirm, humanism. R.J. Rushdoony: 01:36 Second. This state supported and financed religion, humanism, is persecuting Christianity and trying to force its welfare agencies out of existence. Its premise is that the humanistic plan of salvation is alone the truth and that therefore no other plan of salvation has the right to exist. R.J. Rushdoony: 01:56 Now, this premise is not openly stated, it is disguised in the name of various regulations. We are treated often to a barrage of propaganda about the supposed abuses which are found in these Christian homes. Charges which veil to stand up under investigation. The plain fact is that we have two rival plans of salvation at war today. Humanism is seeking to discredit and destroy Christianity and to capture America for itself. We have thus a religious war underway in the United States, humanism versus Christianity. What your future will be, will be determined by the outcome of this battle. R.J. Rushdoony: 02:38 Copies of this broadcast are available from R.J. Rushdoony, PO Box 188, Valaceto, California 95251. Please send $1 to help the cost of reproduction, mailing, office help, et cetera. Ask for, Can The State Prescribed A Plan Of Salvation.